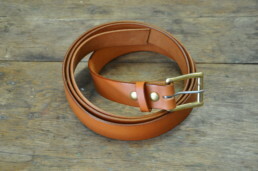 These 1.5″ wide belts are made with 8/9 oz. 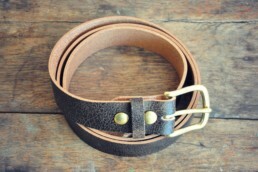 black cowhide, with a finished back. They feature beveled, dyed, and slicked edges. They come with a stainess steel buckle. 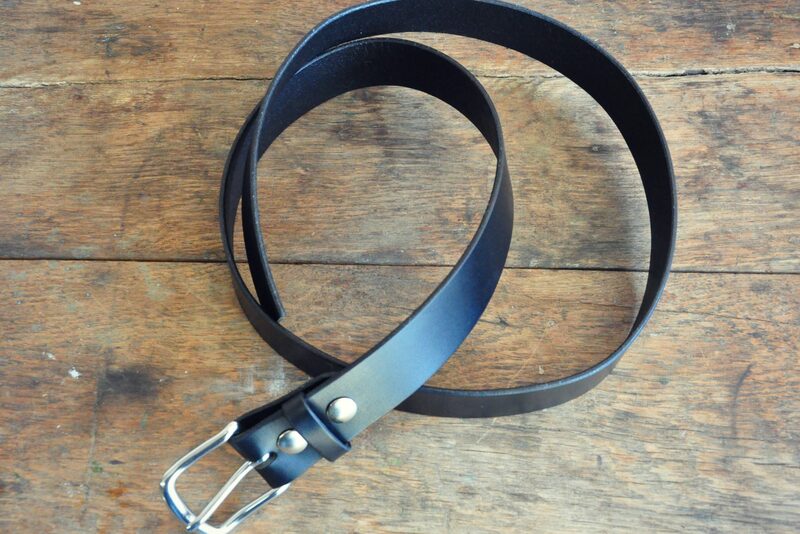 As always, all of our belts are made with one thickness of top grain leather!